New Zealand's go-to hub for all things gaming, Gameplanet, is touting a lovely new display at their headquarters entitled Invaded. 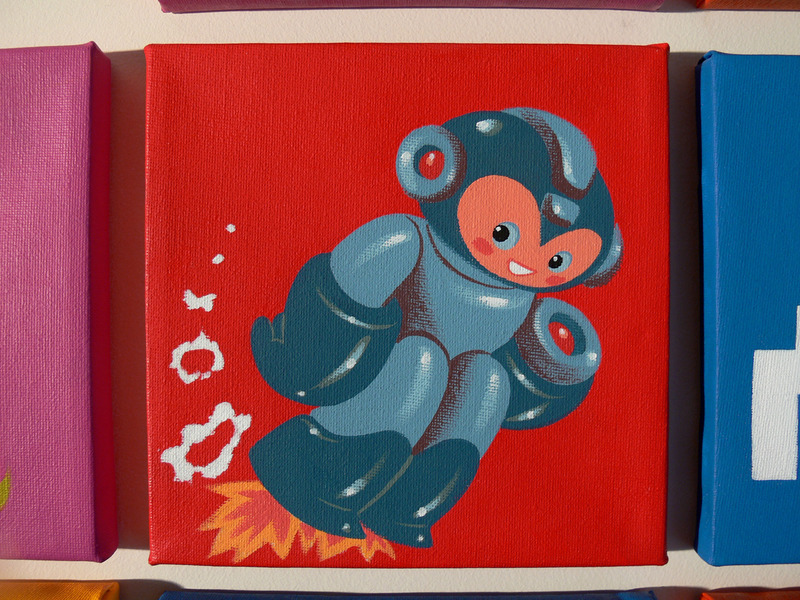 The artwork consists of 46 6"x6" canvases, each with their own unique character from Solid Snake and Doomy guy all they way to, you guessed it, Mega Man. 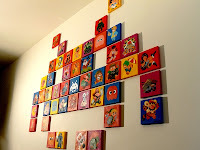 In turn, each canvas represents the pixel on a Space Invader's invader sprite. 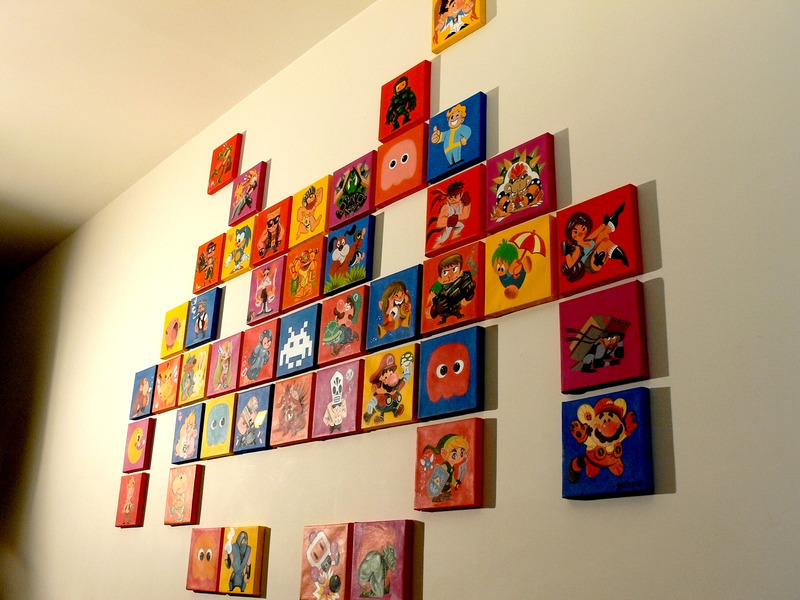 You can see each and every individual tile at Gameplanet; it's truly a sight to behold! The artist behind this colorful display is none other than Becky Dreistadt from Tiny Kitten Teeth (http://tinykittenteeth.com/). I'm a pretty big fan of her style, and I'm sure I'm not alone. Plenty more of her artwork can be found at her official website in the above link. Thanks for the tip, Velguador! What. I live in New Zealand and do pixel part and 'aint never heard of any of this.. Anyway, cool.